The definition of a Sole Proprietorship or “single proprietorship”in the Philippines – is a business structure owned by an sole individual who has full control/authority of its own and owns all the assets, personally owes and answers to all liabilities and losses. A sole proprietorship must apply for a business name and be registered with the DTI-National Capital Region (NCR). 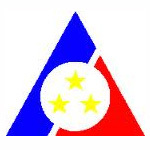 In the provinces, application may be filed with the DTI regional/provincial offices. The major disadvantage of a sole proprietorship is the unlimited liability of the owner. Creditors will not only try to obtain the assets of the business but also the personal property of the owner as payment for debts. The sole proprietorship uses the TIN of its owner and must apply for all the usual business permits required by a business in the Philippines. There are minimal capital requirements for Filipino citizens. Some types of business may need other endorsements from various government agencies. General information needed to apply for a sole proprietorship. 1. Location. Indicate the barangay, city/municipality, and region where business is/will be located. 2. Tax Identification Number (TIN). Indicate TIN duly issued by BIR to you as individual taxpayer. – First Name, Middle Name, Last Name, Suffix (if applicable). – Date of Birth. Owner must be of legal age (at least eighteen  years old). – Citizenship. For Filipino applicants, present two (2) primary ID or a combination of one (1) primary and one (1) secondary ID. Foreign Nationals must present the original and submit clear certified copy of the following, if applicable, namely: Certificate of Authority to Engage Business in the Philippines pursuant to Foreign Investment Act (Republic Act No. 7042 as amended); Certificate of Authority to Engage in Retail Trade per Republic Act No. 8762 (Retail Trade Liberalization Law), or such other applicable laws, as the case may be. – House/Building No. This information include building name and floor number, Lot, Phase and Block numbers, and Subdivision, among others. Street, Barangay and Town/City, Province. DBC will assist you in obtaining all the necessary documents needed to apply for a Philippines sole proprietorship business registration and acquire all the necessary business permits. Contact DBC for a free assessment. A sole proprietorship is only recommended for very small business due to the unlimited liability of the owner. We recommend setting up a corporation for most business and for foreign investors. Success in the Philippines depends on choosing the right business consultant to assist you in studying the Philippines market and developing the correct market entry strategy. Starting and doing business in the Philippines requires information and knowledge. DBC specializes in helping foreign companies acquire the specific facts they need to establish their office and find clients and partners. Introduce you to the necessary government agencies to obtain business permits and apply for tax incentives. Whether you are a local or international company DBC’s team of professional consultants has the required expertise to prepare comprehensive Feasibility Studies, Business Planning, Market Entry Strategy Reports, Market Research and Real Estate Development Market Studies. DBC has assisted many local and foreign businesses, who wish to start doing business in the Philippines in completing their company registration requirements. Organizing all that is needed to have your Philippines business registration accomplished smoothly and rapidly with the required government agencies. Most companies will need to apply or register with the SEC, DTI, BIR, SSS, Pag-IBIG, and PhilHealth. DBC will explain the different company structures available in the Philippines and advise you on the advantages of each one.